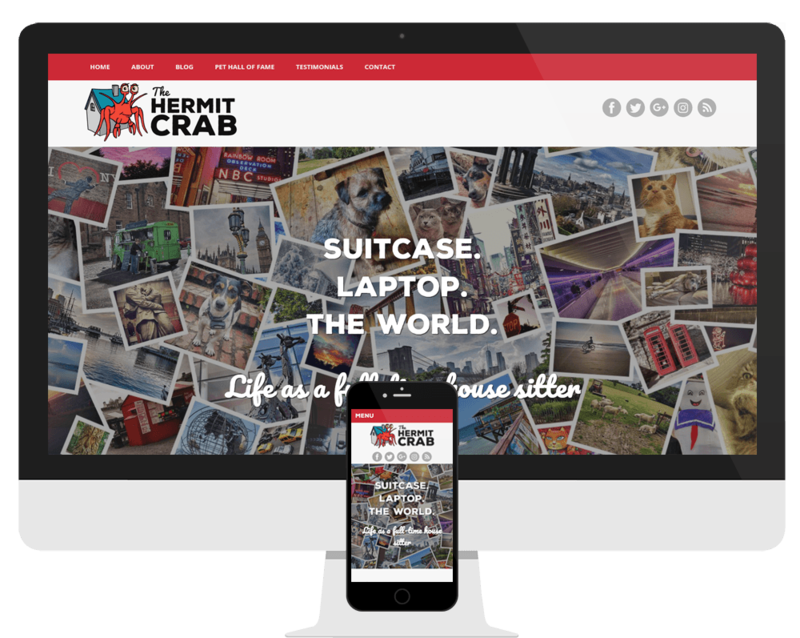 The Hermit Crab is the personal website and blog of a full-time house sitter and digital nomad. Working for himself, while staying completely mobile, the client takes care of people’s houses and pets while they are away. This allows him an envious amount of freedom to travel and explore, something which he was keen to document online. The project for The Hermit Crab highlighted the fun that can be had bringing someone’s passion into an online presence. The client was keen to have a blog site, documenting his fascinating lifestyle and all the adventures it affords him, as well providing a discussion forum for other house sitters, or those simply interested in knowing more. It was decided to create a brand for the name, which practically begged to be translated into a comic character! This brand image could then be carried across to all the client’s social media accounts. He was also keen to include a gallery tribute to all the animals he has taken care of on his travels. A list which continues to grow!